Michelle grew up with a love of exercise, playing netball and rock climbing from her teenage years. After studying History and Sociology at Cardiff University, Michelle spent 4 years in Canada teaching rock climbing, before travelling round Europe teaching for a further 8 months. 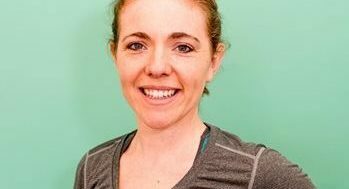 The injures Michelle sustained in her rock climbing career inspired her to train as a Sports Therapist on her return to the UK, and she obtained her Level 5 Advanced Diploma in 2014. Michelle couples her expertise as a Level 3 Personal Trainer with her manual skills as a Sports Therapist to provide a well-rounded treatment plan to professional and amateur athletes alike. Working to correct technique with training, and increase her patients’ flexibility with massage – her approach is as much about injury prevention as it is about relieving aches and pains from frequent training. Still an avid climber and walker, Michelle now lives and works in Sutton Coldfield with her husband Adam and son Seth. Michelle is registered with The Sports Therapy Association.